CruisingNow.com now offers you more cruise and land vacation values than ever with Adventure Travels membership in the Signature Travel Network. Browse all of our travel promotions, and call us at 800-603-1271, or email us at info@cruisingnow.com. CruisingNow.com is now affiliated with FROSCH | Pompano Beach, which was formerly Adventure Travels. As part of the FROSCH network, as well as members in the Signature Travel Network, CruisingNow.com is poised to offer you even more exceptional values and exclusive booking options anywhere in the world! Welcome to Signature, a network of over 6,000 travel professionals who share one objective: to serve the unique needs of discerning travelers. Signature Travel Network is a co-operative of the travel industry's leading retail travel agencies with more than 375 office locations who serve thousands of clients from around the world. The network, established more than 50 years ago, generates sales in excess of $5 billion. This buying power is leveraged to deliver the best value to our clients. Reserve your cruise with us and enjoy exclusive benefits on thousands of voyages such as: exclusive savings, upgrades, shipboard credits, pre-paid gratuities, complimentary shore events and much more. 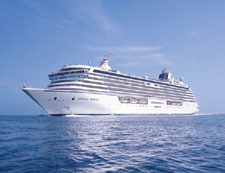 Luxury cruise clients enjoy complimentary car and driver shore experiences in exotic ports around the world. Click here for more information and to begin searching for your dream cruise vacation. Discover the world from Asia to Antarctica. Our travel professionals are knowledgeable and can provide personal insights that reflect your individual needs. Talk with our travel consultants who have visited the places you want to visit. We can save you time, answer your questions and help you select your perfect vacation. Click here for more information and to search through thousands of land-based offers. Reserve your next hotel stay at one of our partner hotels and resorts worldwide and receive exclusive benefits such as: breakfast for two daily, special savings, upgrades, lunch or dinner for two once during stay, spa credits, complimentary rounds of golf, airport transfers, in-room gifts and welcome amenities, VIP welcome and more. Click here to see detailed hotel descriptions, photos and more.